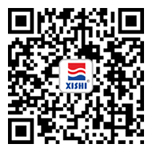 ﻿ Brand Strategy|Xishi Group Development Co., Ltd.
Xishi has passed the Certificate of ISO9001:2008、SO14001:2008、OHSAS18001：2008. Xishi Group Development Co., Ltd.is a large joint-stock company engaged in the stone quarrying, processing, design ,decoration ,construction and one of the Leading Natural stone projects contractor and Wholersaler in China. Over the past twenty years, Xishi Group has won the top ranks for many times, such as the first enterprise of “China famous brand” in the stone industry; the first enterprise setting “Management Practice, Applied Technology and Specification Office of National Stone Standardization Technical Committee”, the first “High-Tech Enterprise” pioneering the stone industrial technological innovation... In July 2010, Fujian Stone Association and the Secretariat moved to Xishi, so Xishi became the first enterprise setting up the provincial-level stone association in the whole country. Currently Xishi is also the Vice Chairman Unit of China Stone Association, Vice Chairman Unit of China Chamber of Commerce for Stone Industry and Chairman Unit of Fujian Provincial Stone Industry Association. Currently, Xishi has set up branches in Beijing, Shanghai, Hangzhou, Guangzhou, Inner Mongolia, Xiamen and other places; set up offices in over 30 cities, including Fuzhou, Wuhan, Chengdu, Guiyang, Wenzhou, Xi’an, Chongqing, etc. ; deployed more than 60 after-sale service sites across the country; also established branches in Dubai, South Korea, Russia, and so on, as well as more than 20 other offices. The products are not only sold throughout China, but also exported to Europe, America, Middle East, Southeast Asia, Australia as well as other countries and regions. Xishi has undertaken nearly one thousand large and medium-sized well-known projects, such as the Great Hall of the People, Chairman Mao Memorial Hall, Beijing Wukesong Olympic Basketball Gymnasium, new CCTV site, Shanghai International Exhibition Center, Hainan Boao Grand Hotel,Moscow Novatek Office buiding , Msocow Nikol Skaya Kempinski Hotel,Moscow Tajj Mahal shopping mall,,Kazakhstan Peace Palaces, Angolan Judicial Building, etc. Xishi has won the honorary plaque of “High-Quality Products and High-Quality Services” authorized by the Administration Bureau of the People’s Great Hall, “Trustworthy Enterprise in the Stone Products Quality” co-issued by the Bureau of Building Material Industry and China Stone Association as well as “China Construction & Engineering Luban Award” and “The First and Second 'Huabiao Cup' National High-Quality Stone Decoration Engineering Award” issued by the Ministry of Construction of China. By sticking to the mission of “blooming the beauty of stone, decorating the soul of buildings, and creating a better home”, abiding by the corporate spirits of “respect, responsibility, honesty, harmony” and relying on the strenuous efforts of globalized sales service network and more than two thousand Xishi staffs, Xishi will constantly go beyond the customer expectation, develop jointly with the customers and play the splendid Xishi rhythm.